Michael CampbellAd writer Michael Campbell (left) reviews footage with President Donald Trump on the 1995 Pizza Hut stuffed crust commercial. During a commercial shoot for Pizza Hut’s stuffed-crust pizza in 1995, then-businessman Donald Trump tried to micromanage the production, two ad writers say. Trump also gave suggestions on improving the lighting because he did not think it made his then-wife Ivana Trump look good. To hear the full story, subscribe to Business Insider’s new podcast, “Household Name”. 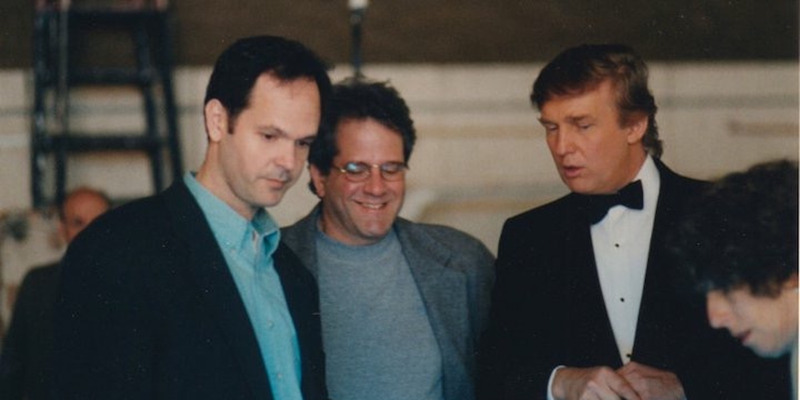 During a commercial shoot for Pizza Hut’s stuffed-crust pizza in 1995, then-businessman and New York City real estate mogul Donald Trump tried to micromanage the production – even suggesting which takes to use and how the lighting should look. That’s according to Michael Campbell and Janet Lyons, two of the ad writers on the commercial, who told the story on Business Insider’s new podcast, “Household Name“. In the legendary 30-second spot, Donald and his then-wife, Ivana, eat the pizza “the wrong way”, crust-first. Campbell said the future president arrived to the shoot in style. Trump wanted to start right away. Lyons said Ivana took two hours to get ready for the commercial shoot, and Trump got mad. As they started shooting, Trump began to micromanage. 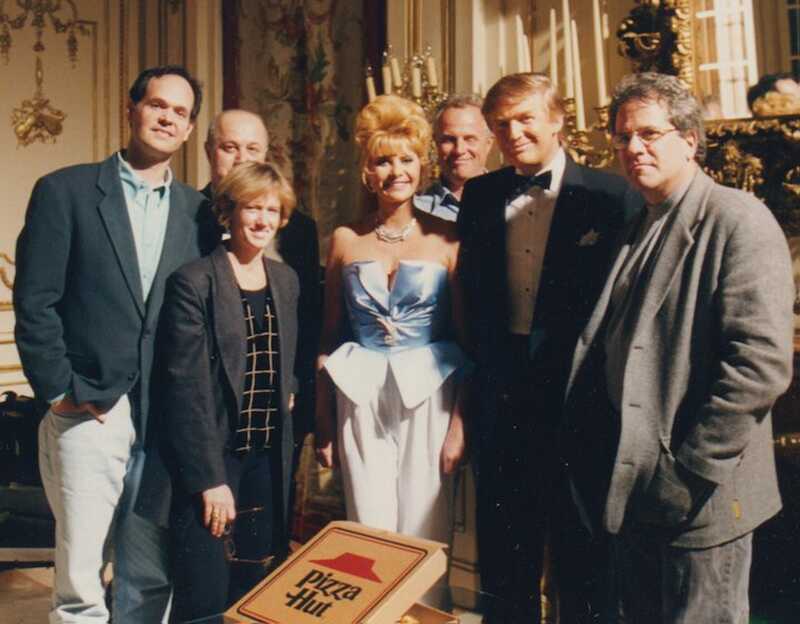 Michael CampbellLeft to Right: Michael Campbell, Gene Lofaro, Janet Lyons, Ivana Trump, Charlie Mieismer, Donald Trump, and Dennis Berger pose at the Pizza Hut commercial shoot. Lyons said she and Campbell had to inform Trump that it was not his place to tell them how to do their jobs. Lyons could not believe what Trump was trying to do on the set. Trump even got involved in the lightning of the commercial, Campbell said, because he thought it didn’t make Ivana look good. “He was so critical because he didn’t want anything associated with him to look bad,” Campbell said. The commercial aired amid the Trump’s very public divorce in the New York City tabloids. The ending even changed to allude to their impending split. Hear more from the ad writers on the second episode of Business Insider’s “Household Name” podcast. Subscribe and listen here.